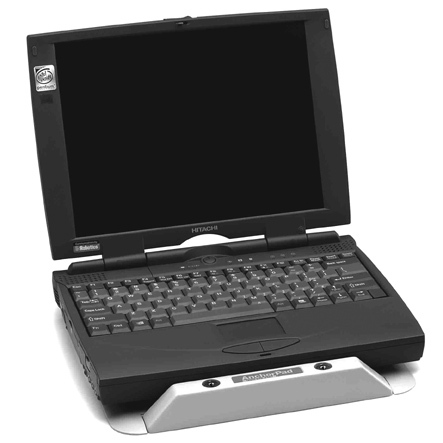 Newly designed laptop security device ideal for mobile carts. 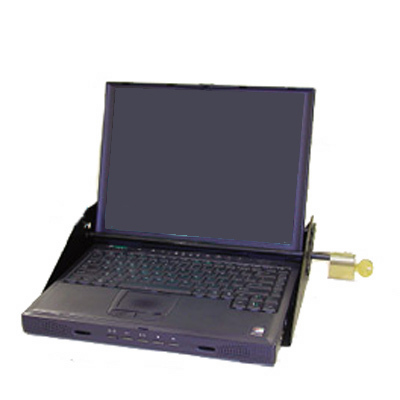 This uniquely designed and effective security device is designed for units with side cable plug-in configurations. 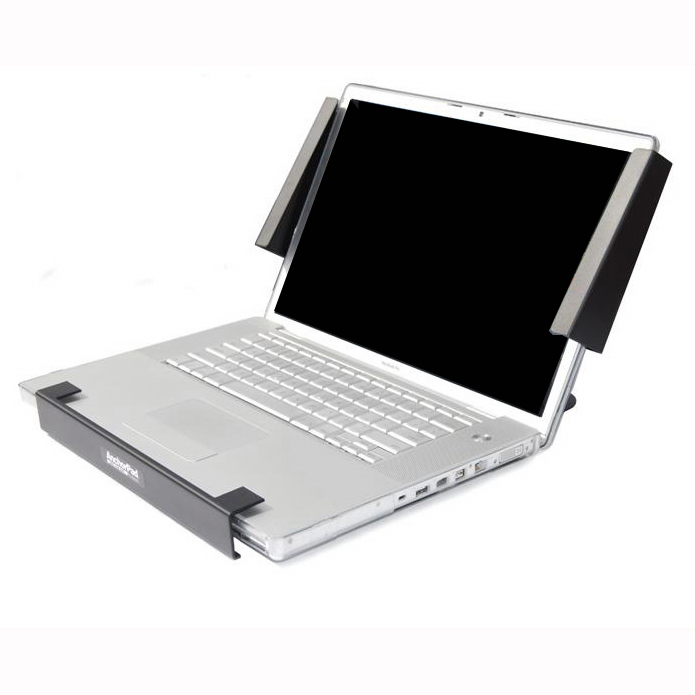 Accommodates laptops 9 inches to 16.5 inches wide and 8.75 inches to 14 inches deep (and thicknesses up to 1 inch). Features include dual key code stamped locks, 20,000 lbs. 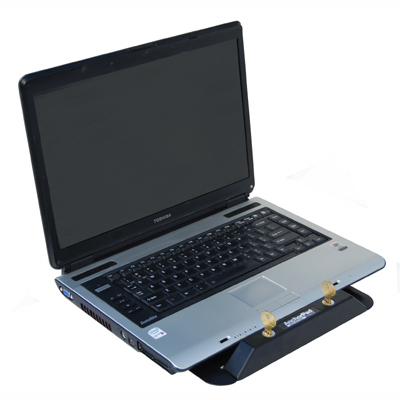 of anchoring strength and non-skid cushion beneath your laptop. No adhesive attachment your laptop! Comes assembled and takes 10 minutes to install – no tools required. Self-removal kit included. 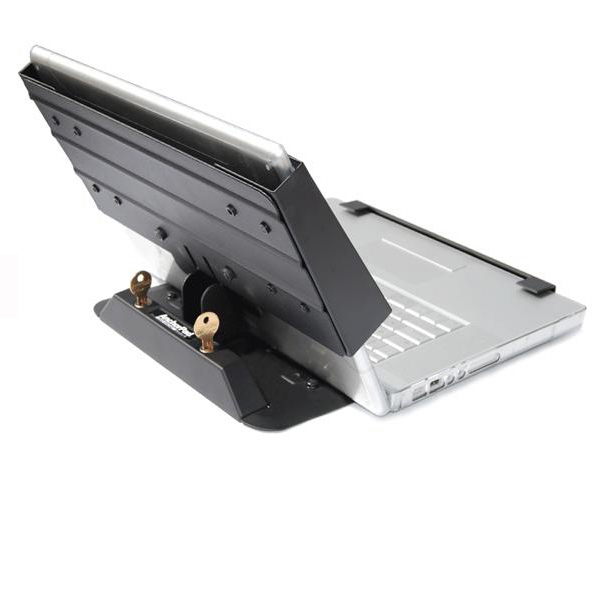 Be the first to review “Laptop Security Stand” Click here to cancel reply.